The Pacific Rim Review of Books and its editors have taken on the seemingly gargantuan task of nation building in a post-national era. Contradictory? Perhaps, but this is a large vision and contains multitudes, as Walt Whitman would say. What is contained in these pages reinforces this notion for North Americans, and discourages the kind of thinking often forced on us by cultural and political centres back east, and the industry-generated culture they answer to, whether those centres be New York, Toronto, Washington D.C. or Ottawa. The action is here on the Pacific Rim and the editors know it. The twenty-five essays in this book give you a sense of the breadth and depth of that action. This is not to say that all the material here comes from the Rim itself, but it is surely shaped by an emerging Pacific ethos. 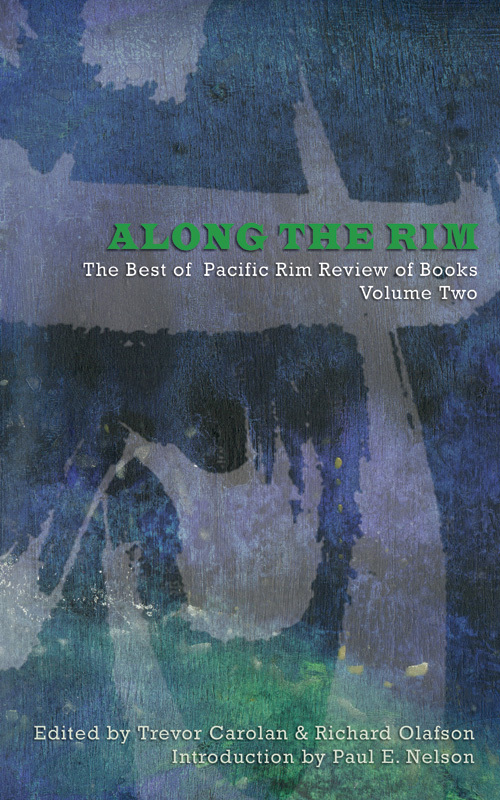 An ethos strengthened by Pacific Rim-based movements such as the the San Francisco Renaissance, West Coast Eco-Dharma Lit, and the importance of Asian art and culture. Born in Yorkshire, editor Trevor Carolan emigrated as a boy to British Columbia and was raised in the family building trade in New Westminster. He began writing for the city newspaper at age 17. After travelling Europe and India for three years he completed a M.A. in English at Humboldt State in California. He later worked in Alberta with the 15th Olympic Winter Games. He has published 13 books of poetry, fiction, translation, memoir, and anthologies. Active in Pacific Coast watershed issues, aboriginal land claims, and Asia-Pacific human rights campaigns, he served three years as elected municipal councillor for North Vancouver, then as a political columnist. He earned an interdisciplinary PhD from Bond University in Queensland, Australia in 2007, and now teaches English at University of the Fraser Valley in Abbotsford, B.C. beneath Kul-Shan, Mount Baker.